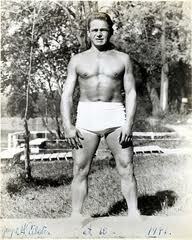 Pilates is a method of exercise created by Joseph Pilates. He developed his movement system during the outbreak of World War 1 while interned as an "enemy alien" along with other German Nationals. He later moved to the U.S, and he and his wife Clara had their New York City Studio at 939 8th Avenue. There they worked with dancers and others who had heard about the healing properties of the "method". The Pilates method of movement is designed to stretch, strengthen, and balance the body. Benefits include a stronger core, toned & conditioned muscles, improved strength, flexibility, balance & control. Pilates exercise is known to reduce back pain as a result of increased abdominal strength and improved posture. Coordination, stamina and body awareness also improve. The results of Pilates spill over into everyday life enhancing good health and general well being. 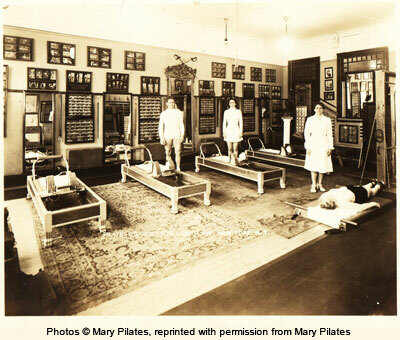 Performance Pilates offers private, one-on-one sessions and small group classes on the mat and/or equipment, including reformer, cadillac, chairs, barrels and other small apparatus. If you would like to learn more, fill out the "Contact Us" form and will be happy to answer your questions and get you started on a wonderful road to fitness! 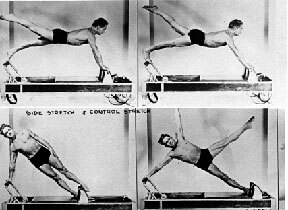 The archival pictures on the left show Joseph Pilates performing "Balance Control" and "Star" on his original reformer, and the original New York Studio at 939 8th Ave.